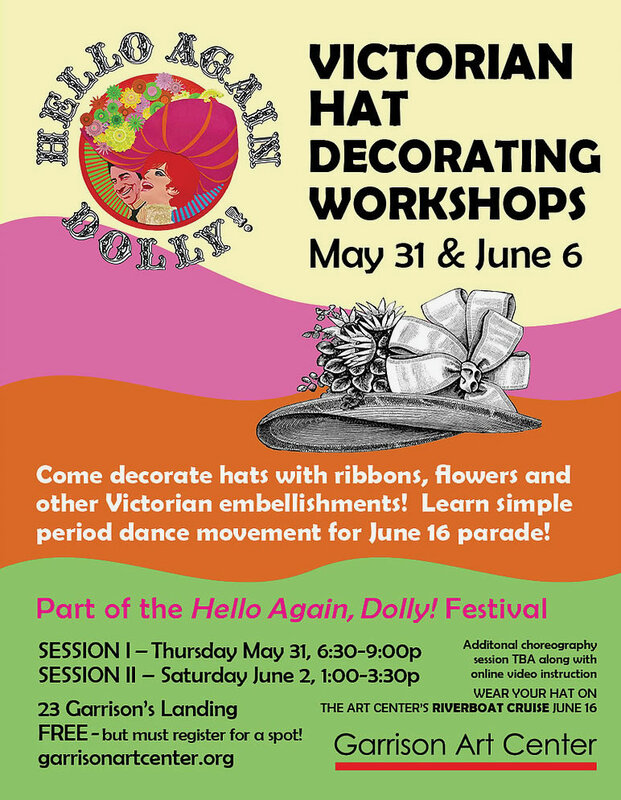 Victorian Hat Decorating Sessions – Hello Again, Dolly! GET READY FOR THE PARADE!! You’ll be promenading down the Landing in style with Tommy Tune to the song “Put On Your Sunday Clothes,” in style with you new chapeau! 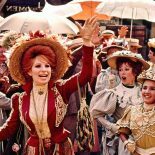 Teaching artists and volunteers will guide and instruct community members as they decorate hats and learn some Victorian movement/dance which will lead to a promenade/parade on Saturday June 16, 2018 to celebrate the 50th anniversary of the filming of Hello Dolly in the Hudson Highlands. No advanced skill or training. No charge for the workshop. Hat base and decorating materials will be provided. Charlotte Palmer Lane, renown costume artist, whose work is seen at Hudson Valley Shakespeare, will be on hand to assist. Community Members are welcome to come to one or both sessions. We can add additional sessions the following week if there is overflow or demand.